Kate Hopkins is a writer best known for her blog, Accidental Hedonist, which chronicles her interest in and consumption of all things food and drink. 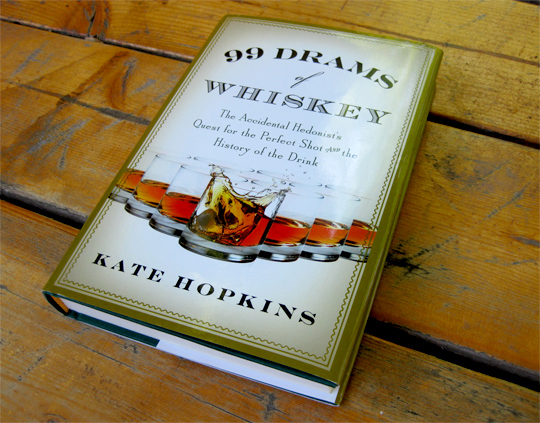 Out of this website came Hopkins's book, 99 Drams of Whiskey: The Accidental Hedonist's Quest for the Perfect Shot and the History of the Drink (buy on Amazon ), not a direct adaptation of her blog, but certainly a direct result of it. Getting a book deal is blogger nirvana. In signing that contract, you're legitimized, your writing on track to being introduced to the large (but ever-diminishing) demographic of people who mostly read print. Plus, maybe you can make some money. 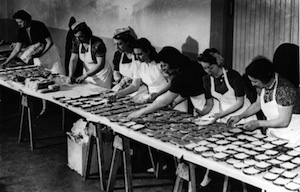 Food bloggers have had their fair share of book deals grow out of an online fascination with food and drink — who out there with a Typepad account doesn't dream of delivering the next Julie and Julia? — and yet few of those paper products have met with a great amount of success. Often, the blog does not transition smoothly to book form thanks to a multitude of factors: blogs' serialized nature, the immediacy of online media, the length (or lack thereof) of a blog post. Even though 99 Drams is not based on a blog, Hopkins is — and writes like — a blogger, which isn't always in the best interests of her book. Along for the ride is Hopkins' old friend Krysta, adding to the already conflicted narrative an element of a Hollywood-style buddy road trip. Going on distillery tours, bumbling around the backwaters of foreign countries in rental cars, and fighting with ever-unreliable GPS systems, the two women learn a lot about whiskey (and drink even more of it) with seemingly little purpose. To be fair, Krysta's presence does lend the story some tension it might not have had otherwise: multiple times on their journey, Krysta kind of wants to go to a historical landmark and they end up not having time because they have to go on a whiskey tour. But beyond minor squabbles about the daily schedule, 99 Drams delivers no real story, no arc. The raison d'etre for the trip (and, by extension, the book) is the very chick-lit pursuit of inter-sexual understanding: the two women are trying to understand why a man they dub "Mr. Disposable Income" would spend £ 32,000 on a bottle of whiskey and then drink it all in one night. In the end, they come to an anticlimactic conclusion: it's because whiskey is awesome! I wanted to like this book. I've read Hopkins' blog for years, and mostly enjoy and agree with her intelligent and amusing writing. Yet I can't recommend 99 Drams to you. If you're new to whiskey, sections of it will lose you, and others will bore you. If you're familiar with the liquor (and I'm not, so I'm guessing), the information probably doesn't run deep enough to hold your interest. If you're like me, you'll end the book knowing slightly more than you did going in, and being deeply, deeply jealous that you don't get to embark on a whiskey-tasting tour of the world yourself. While I often criticize single-subject food books for being too dry and academic, 99 Drams is a single-subject book that suffers from the opposite: too many personal stories, and not enough of a point.